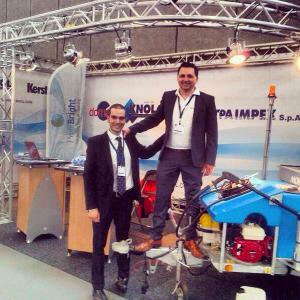 At the beginning of May, Morclean exhibited for the very first time at Interclean in Amsterdam. The show is the largest of its kind in the world for the commercial cleaning sector and Morclean was pleased to be in attendance showing off the new-look binwash to people from all over the world. With visitors from Spain, Portugal, Italy, Denmark and further, the show exceeded all expectations. We welcomed new visitors and old customers alike to the stand to view our smart looking machine. With its moulded front cover and improved filtration tray this machine blew people away with its user-friendly operating system and potential earnings too! Peter Morley, Morclean Managing Director said, “Interclean hosts all the leading global brands and key international companies and everyone in our team was busy during all four days, handling new enquiries from all over the world and welcoming International visitors to the stand. “Infact, the show was such a resounding success for Morclean that we are pleased to announce that we will be attending the Poland Interclean in April 2015 along with our Polish Binwash Distributors, Bravos.